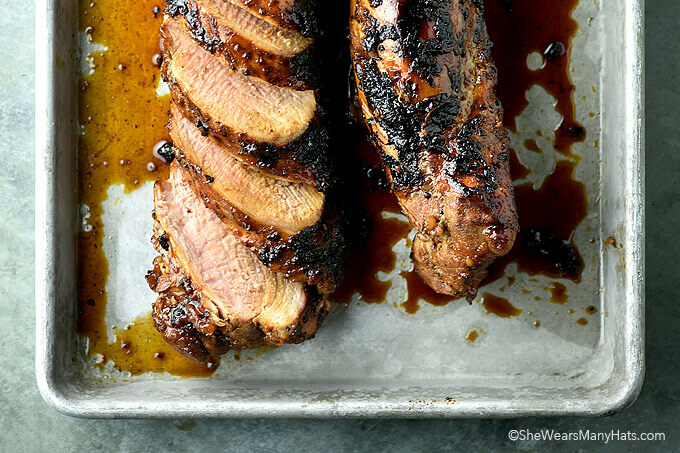 This tasty Honey Soy Glazed Pork Tenderloin Recipe is quick and easy enough for a weeknight meal and fabulous enough for a weekend celebration. Around here our grill gets a workout all year long. Even still, when the weather turns even the slightest bit warmer our grilling, or should I say, Randy’s grilling, kicks up a notch and just about every meal involves the grill. I’m not complaining one bit. Randy is a magnificent grill master. Lucky me! 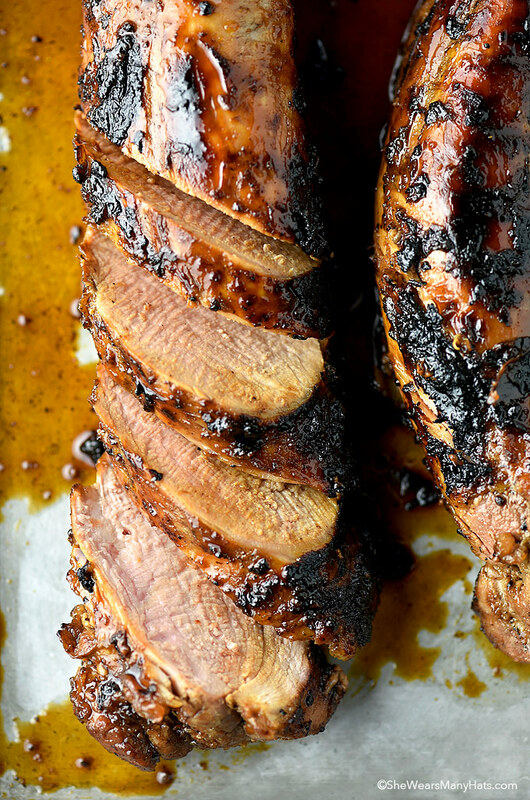 Even though his Sweet and Spicy Grilled Chicken Wings are crowd pleasing, grilled pork tenderloin, like this Honey Soy Glazed Pork Tenderloin, is right up there in the taste department. Plus, it couldn’t be easier to prepare. It’s so very easy! Really. 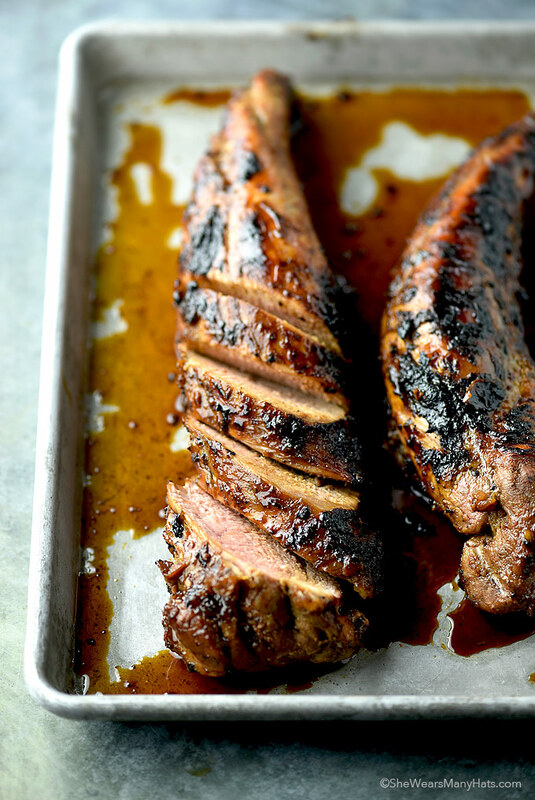 I think you’ll find this Honey Soy Glazed Pork Tenderloin Recipe will become a regular part of your meal repertoire for any night of the week. Serve it with roasted broccoli or a fabulous salad for quick and tasty meal. Try it soon and let me know what you think! 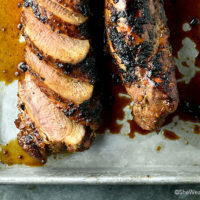 This pork tenderloin recipe is quick and easy enough for a weeknight meal and fabulous enough for a weekend celebration. Add to a large zip-top plastic bag the olive oil, soy sauce, honey, fresh lime juice, minced garlic, ground ginger, and ground pepper. Stir/shake together. Add tenderloin(s) and turn to coat all sides. Seal bag refrigerate for at least 1 hour, or until ready to grill, up to a day. When ready to grill, preheat grill to medium heat. Whisk together glaze ingredients. Set aside. When grill is preheated, place tenderloin(s) on hot grill. Cook on each side for about 5 minutes, then turn 1/4 (quarter) turn. Repeat for all sides. When done brush generously with glaze. Let cook for another minute or two, be watchful that glaze does not burn. Remove from heat and let tenderloin(s) rest covered for about about 10-15 minutes before slicing. Drizzle sliced meat with any remaining glaze. Your pictures are stunning! What a gorgeous meal. 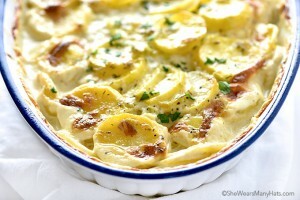 We can grill year-round too and I’m sure my husband would love to make this!! Honey! I like it! So, l also like this food. Looking at the picture! I want to eat it right now! It looks very delicious! Thank your recipe! I will try doing next week. This was very tasty!!! We all loved it and it will be repeated! Thank you for a great recipe! This pork recipe sounds great and one I will try soon. Because I have no access to a grill, I will probably cook this in my Dutch oven in the oven. With all the tasty ingredients, how can I go wrong. Thanks. Can this recipe be roasted in the oven? If so, what temp and for how long? I would roast at 350-degrees F until meat thermometer reads 145-degrees F in the thickest part of the tenderloin, maybe about 25-30 minutes? I would start checking temp at about 20 minutes depending on the thickness of the tenderloin. I made this pork tenderloin tonight for supper and it was delicious. Can I use a small pork shoulder picnic roast oven or grill? Any ideas? ?